A guest post by Ivana. So, you’ve finally decided to start a blog! That New Year’s resolution that you keep repeating year after year and then abandoning it mid-January is finally going to come to fruition and we couldn’t be more excited for you! Starting a blog is an exciting, rewarding and fulfilling thing, but it can also be tough, especially for complete beginners. What do I write about? Where do I start? How do I get my audience? And, the most pressing of all questions: Which blogging platform do I choose? In this article we’re going to go through some of the best blogging platforms for beginners. That way you’ll have one less thing to worry about so you can focus your mental efforts on your topics and how you’re going to get them out there. 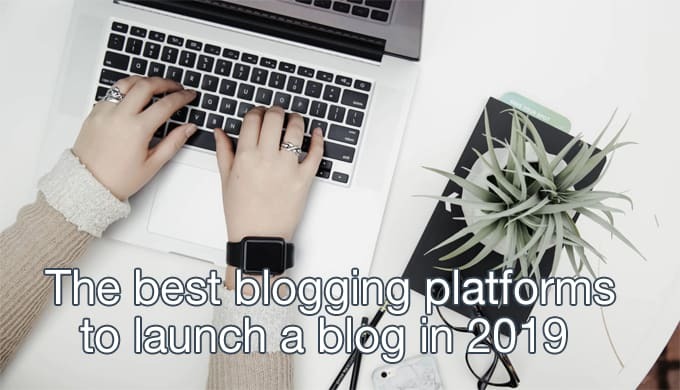 With over 30% of all websites in the world powered by this mighty platform, it’s clear that WordPress reigns supreme over other blogging platforms. One of the main reasons is its extreme ease of use. With just a little bit of practice, you can become a master at WordPress blogging and you don’t need to know how to code, either. Second, WordPress is highly extendable. There are thousands of plugins for this platform, all created with a purpose of helping you run your blog in the easiest and most efficient way possible. Third, it’s scalable. It gives your blog room to grow. Fourth, there are tons of high-quality themes you can use to make your blog appealing to your visitors. In addition to all this, WordPress integrates seamlessly with a number of important services, from WooCommerce to HubSpot, as well as your social media. It also helps you with your SEO, so you can rank higher on SERPs. In addition, WordPress is open-source and it’s free. The list goes on and on, but as you can see, there are plenty of reasons why so many beginner bloggers opt for WordPress as their platform. Blogger is a great solution for beginners who just want an easy, intuitive and completely free solution for their blog. It’s a Google service so you’ll have to have a Google account to use it. It allows you to add widgets and HTML to your blog, and has built-in Google AdSense, which is good. Bear in mind, though, that if your audience grows and you need to scale up, you’ll probably have to change your platform since Blogger is not ideal for bigger blogs or for business purposes. Medium is the hip new platform for cool content that also looks great, thanks to excellent typography options. It is very easy to use and it’s great for those who just want to share their thoughts and a couple of images. The content is extremely easy to share and, being a popular platform with a ready-made audience, your reach is probably going to be pretty high from the get-go. However, Medium is not suitable for business purposes or pro bloggers. Also, you do not have ownership of your content and you basically have no customisation options. It is ideal for beginners, but there are a few things to keep in mind. First, Joomla! doesn’t have nearly as many addons and plugins as WordPress, and the same goes for themes. Second, it has somewhat steeper learning curve. But it does have customisable widgets, an HTML editor and is SEO-optimised. All things considered, it is an excellent choice for beginner bloggers. Weebly is a platform that has a lot of excellent features, plenty of themes, a plethora of extensions and is relatively easy to use.It is mobile-friendly, SEO-optimised and has built-in analytics and comment functionality. But it has one considerable shortcoming and that’s the fact it is not entirely free. Most of the top features come with the premium version, and that’s something a beginner blogger who is still on the budget definitely has to keep in mind. All things considered, it is pretty clear that, while all these platforms are good for blogging, especially for beginners, WordPress still sticks out as the only truly complete platform. That said, you can’t really go wrong with any of the blogging platforms we listed in this article. Ivana is a content specialist who is in love with photography and design. Currently she’s in the WordPress industry, and working for WPklik blog.